The central government is set to replace University Grants Commission (UGC), the apex higher education regulator, with Higher Education Commission of India (HECI) by repealing the UGC Act, 1951. The move, which is described as “a landmark decision” by Union HRD Minister Prakash Javadekar, is now facing criticisms from the academic community, including teachers and students. According to a draft prepared by MHRD, the proposed HECI would focus solely on academic matters and monetary grants would be the purview of the ministry. “Less government and more governance, separation of grant functions, end of inspection raj, focus on academic quality, powers to enforce compliance to the academic quality standards and to order closure of sub-standard and bogus institutions are some of the highlights of the new act,” the draft says. Responding to the draft proposal, Congress’s student wing National Students Union of India (NSUI) said “the move is geared towards headline management, increased political interference in academia and promoting homogenisation not excellence in universities”. Ruchi Gupta, AICC Joint Secretary and NSUI In-charge said in a statement that the draft act stands in contradiction to its own stated purpose of promoting autonomy. “The structure of the Commission has a heavy presence of Government functionaries and the Advisory Council of the Commission is chaired by the Minister of Human Resource Development. The Commission will indulge in laying down standards of learning outcomes and teaching methodologies, which is almost impossible to determine for a whole range of subjective and liberal arts programs, which can only lead to homogenisation and mediocrity in academia,” she added. 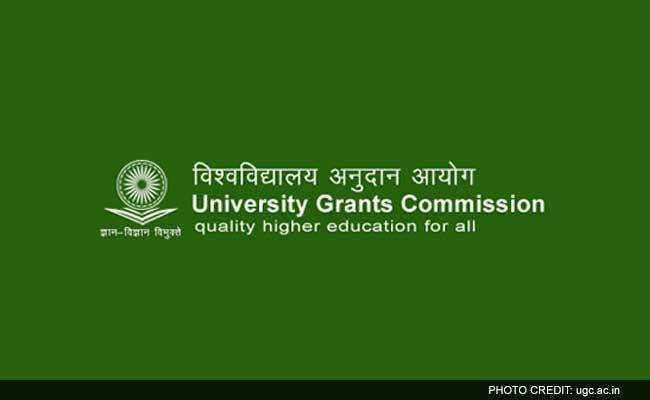 “It is alarming to note that the Ministry proposes to subsume within itself the grant making function of the UGC,” the statement said. According to NSUI, the Ministry also has not clarified in what manner the proposed HECI will be an improvement over UGC. “This is similar to the move to dismantle an established well-functioning institution like the Planning Commission with a think-tank like Niti Aayog with no clear mandate,” it alleged. After calling the move “a shocking and abrupt decision” and “dangerous agenda”, All India Students’ Association (AISA) said “the proposed HECI will only focus on the questions of academic standards of the university, while the Government will take charge of the grant giving function”. The government on Wednesday sought public feedback on its proposed law to replace the decades-old UGC system. Mr. Javadekar appealed to stakeholders to send their recommendations by July 7. Making the new body one with no power of giving grants, according to AISA, “the Government is actually absolving itself of its responsibilities of funding in higher education through autonomous institutions like UGC”. AISA also said a Ministry of Finance notification of January 13, 2017 and other notifications by the MHRD and the UGC have also stated that the government will provide only 70% of the required fund to the central universities. “Though the massive students -teachers protest resisted the 70 -30% formula for the time being, the government is leaving no stone unturned for fund cut in higher education. And now, it wants to do away with the UGC, the funding agency itself,” the students body alleged. It also said that if the Government solely controls the grant giving power replacing the UGC, it will surely result into more direct political interference in our campuses. Students Federation of India (SFI) has also opposed the decision and said this shows the desperation of the BJP government to replace the existing structure of higher education to deregulate it. According to SFI, the HRD ministry taking over the role of funding will lead “to more direct interference of the central government”. “Presently, the government’s funding for public higher education is distributed through the UGC, an autonomous body under the HRD ministry. UGC has an academic background which enables it to distribute funds according to the need of educational institutions but the ministry doesn’t have such academic background. This is contrary to one of the goals of the proposed commission of decreasing the government interference in education institutions,” a statement from Central Executive Committee of SFI said. “Instead of replacing UCG with a body with same problems, SFI also demanded that the UGC and its working should be improved and it should be made more democratic and transparent. The Delhi University Teachers’ Association (DUTA) has also condemned the government’s plan and said it will result in an increased direct interference by the governments. “Even as the government had to shelve proposal of creating HEERA because of opposition received, dismantling of the UGC to create a new agency looks like a quick desperate step in the same direction,” they said in a statement.